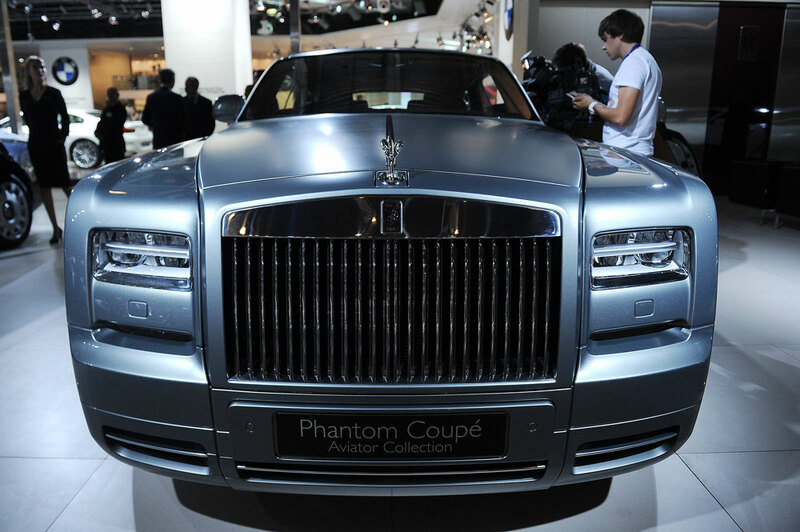 The Rolls-Royce Phantom Coupe displayed at Moscow International Automobile Salon. Moscow's Land Rover/Jaguar showroom was never crowded, but since in the last two years the pound sterling rocketed from 53 to 115 rubles, the premises have been particularly empty. Yet Rolls-Royce sold 100 cars in Russia in 2015, making it a successful year. Ivan Tkachenko, brand director for British dealer Inchcape, which represents iconic UK cars on the Russian market, told RBTH why European capital needs a falling Russian market and what must be done when the customer doesn’t know how to act. RBTH: Your company entered the market on the eve of the collapse of the world financial system. How, in your opinion, does that crisis differ from the current one? Ivan Tkachenko: I remember that time very well. Europe was already shaking while Russia remained afloat for a while and was considered as a sort of compensating platform. Foreign companies at that time were entering the Russian market in order to balance their risks. In 2009 the wave reached Moscow, but in some way it was a good coincidence because by that time the UK had already gone through the peak of the crisis. We began the reconstruction process, which included staff reductions, however, we would have done that even without the crisis. It only accelerated the changes. RBTH: How effective were the measures that you implemented? I.T. : In all this time the volumes, in terms of money and in terms of units sold, increased by about 25 percent. It could have been higher, had it not been for the current crisis, which, obviously, had a negative effect. Official statistics point to a 40-percent fall in sales of new cars in 2015, but this excludes warehouse stock. The real figures are a bit higher. Certainly more than 50 percent, closer to 60. RBTH: With respect to premium brands, I think that the situation is not all that bad. Porsche and Lamborghini have recently witnessed growth in their Russian sales. What about Rolls-Royce? I.T. : Here there are some nuances. Luxury brands such as Porsche or Rolls-Royce are considered investments in times of crises. If foreign currencies are unstable, people usually get rid of them by investing in expensive things. We saw this in 2014, when people would run to the dealers and the more expensive the car, the better. People would fight for the cars. Cars costing $100,000 and more were sold out in no time. The trend is still the same. For example, in 2015 Rolls-Royce sales increased by 30 percent. Last year the company sold more than 100 cars. For this brand it was indeed a very successful period. RBTH: So this means that there is no talk of further staff layoffs or leaving the market? I.T. : Our case can be described by the swing principle. When we started Europe was in turmoil and Russia was providing revenue. Now the British economy feels confident but Russia is in turmoil. We must wait. We can't give up the market, even if we have to work in negative figures. We'll pay back the debts later. RBTH: The plan is to avoid working in negative figures? I.T. : For now we plan even to make profits. We'll emphasize service. We won't count on making profit from the sales of new cars. The aim is to maintain the minimum volume, while the profit will come from service and from used cars. I believe that with time demand for cars will grow, even though this crisis is atypical and it is difficult to make predictions. RBTH: How is it atypical? I.T. : No one has an idea about how to get out of this hole. It is unclear what must happen for everything to return to normal. And if there is no idea, people stop making decisions. The customer is stupefied. He doesn’t know what to do next. He doesn't have a strategy. RBTH: In two years the pound sterling has more than doubled against the ruble. Consequently, an off-road vehicle that in 2013 cost 3 million rubles must now cost five or six million? I.T. : Not exactly. The head company in London significantly subsidizes and controls prices in order to maintain sales volumes and market shares. For the British producer Russia is strategically important. It can't just say: "Link up to the value of the pound and then do what you want, sell the cars the way you know how to." The situation is much more complex. But you are correct, of course, the price is constantly growing. Since 2014 it has increased by about 40 percent. RBTH: For a Land Rover or Jaguar customer this is probably not as critical as for a Renault or KIA client? I.T. : It is serious but not fatal. Well-off and independent people are interested in our brands. They are all united by being able to make decisions independently, to make their own choice. In this sense it is doubtful that a person who once drove a Jaguar will think of changing to a Renault. Even if the pound rockets to 200 rubles, the customer will try to buy the English car at all costs. RBTH: And if the pound equals 400 rubles? I.T. : I really wouldn't want the situation to become so dramatic so that the market is forced to shrink beyond recognition. This is unlikely to happen. However, without an idea about how the Russian economy should restart, it is difficult to say. Russia needs an idea. Russia needs for the government to clearly say: "Now we will introduce a series of structural reforms." Clear ones, logical ones. Then the country will have reference points. It will be possible to develop new strategies. So far this has not happened.